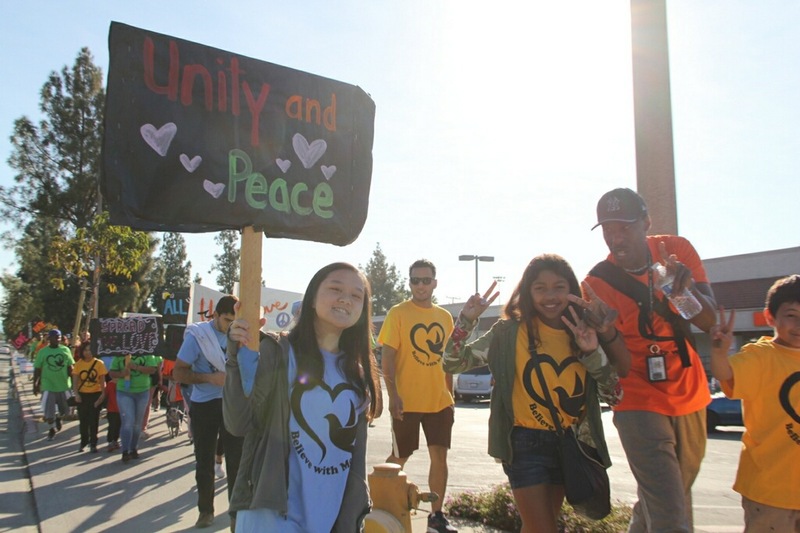 The Duarte Mayor’s Youth Council, in partnership with Duarte Public Safety, presented the Sixth Annual Unity March from Duarte City Hall to the Duarte Teen Center on November 3. The theme of this year’s march, “We can do it together,” promoted unity within the community to stand together in the face of political divisions and increased hate crimes. The program featured a welcome from Mayor John Fasana, an invocation led by former Mayor Lois Gaston, welcome opening remarks by Mayor’s Youth Council Vice President Samantha Martinez and NAACP Pasadena/Duarte ACTSO Alum Alena Reed, and performances by the Baby Boogie mini dance troop led by Councilwoman Tzeitel Paras-Caracci, Duarte Dance, and a poetry performance by Phalaen Chang. After coming back from Sierra Leone, Persons discussed how she used that to find a more effective method for change, shifting her mindset from one that focused on the negatives to one that focused on the positives and her goals and how that changed her life. She discussed how, in the case of her work with Sierra Leone, that shift in mindset caused her to realize that she was in “an unhealthy relationship” with Sierra Leone despite all the praise she had gotten for her work there. “What I was actually doing was going around and preaching their poverty story, and poor them, and their government was bad and this and that and it’s not fair, instead of actually empowering them and helping them shift their mind on what they actually want and help them come together to create that. When I realized that, I didn’t want to be called a charity, I wanted to be called a partnership,” Persons said. Since then, they’ve built a school using earthbag building, provided food for students and the community, and started a maternal and children health programs. Although I had never really been one to participate in marches, seeing children, council members, parents, teachers, and pets come together as one really proved that spell community can’t be spelled without unity. While the march itself might not have any immediate effects, the messages shared were powerful ones that will form the foundation for future change that we, as a community, will come together to create.